What is Candle App Platform? 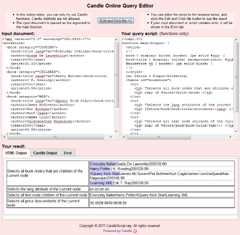 A new open source platform that unifies core features of XSLT, XQuery, XML Scheme, RELAX NG, BNF, XQuery Update and more under a new scripting language, called Candle (Common ApplicatioN Development LanguagE). It allows you to develop rich desktop and Internet applications easily.